The range of food ingredient storage bins is produced in our UK factory using a rotational moulding process. This stress-free manufacturing process ensures a colour coded food storage bin that is strong, durable and free from crevices or dirt traps. 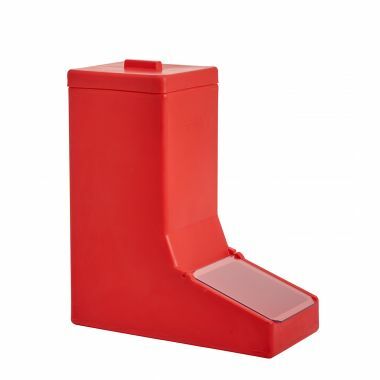 Hygienically designed the durable food grade bins are perfect for the storage and dispense of food ingredients and dry food stuffs such as flour, dried mixed fruit, cereals and grain products. The watertight and seamless nature of the food ingredient storage bins also enables them to be used effectively for storing wet ingredients and liquids as liquid storage tanks. 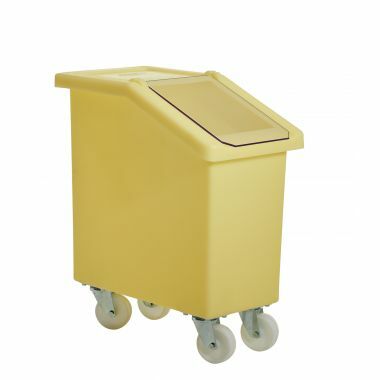 Equipped as standard with 4 x 4 inch (100mm) swivel castors with polypropylene wheels, the entire range of Fletcher ingredient bins are highly manoeuvrable and easily handled, perfect for busy environments such as food factories, restaurants, hotels or commercial kitchens. Our coloured food ingredient storage bins are used throughout the food manufacturing, food processing, catering and hospitality industries. 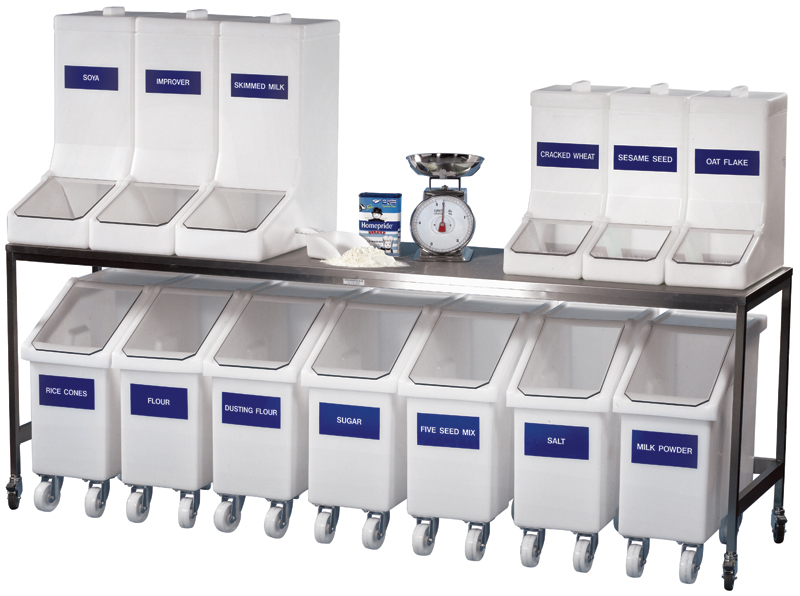 Designed to be narrow and low level each of the 3 sizes of industrial food ingredient bins are ideal for use as under table food ingredient storage, able to nestle easily under standard height stainless steel tables or work benches. 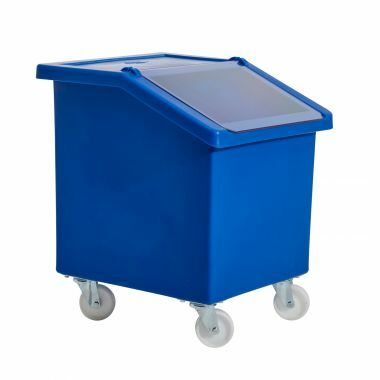 Experts in colour coding requirements, Supertuff manufacture these food grade bins in 12 colours, with more available on request to help enable effective colour coding and product identification. Also assisting with identifying the contents of the Fletcher ingredient bins and helping to prevent cross contamination we provide a bespoke labelling service. Creating durable adhesive labels detailing the products contained, for example "White Flour" or "Icing Sugar" separates these colour coded food ingredient bins from others available on the market. 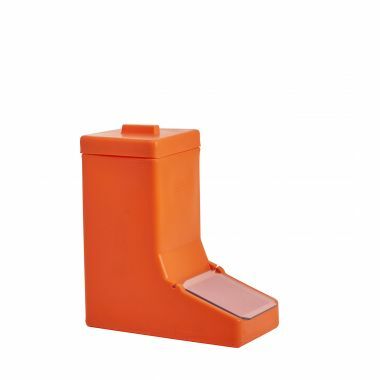 All of our plastic ingredient bins are equipped with a robust plastic lid and PETG clear plastic flap enabling easy filling and dispense from the moulded plastic bin. 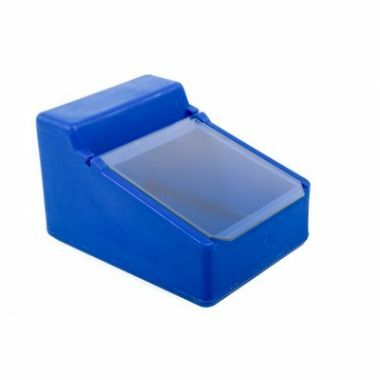 This plastic flap can be upgraded to stainless steel if required to help further enhance the food ingredient storage bins hygienic value. 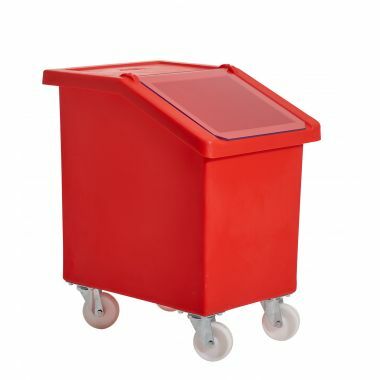 For more information on product specification and optional upgrades for the food ingredient storage bins, feel free to view the individual product pages or contact our expert sales team.